For businesses looking to maximise success by having our full service from £395+VAT per month. We have the accounting and business experience to give your company crucial value added advice that can really help you to plan ahead and maximise success. We are here to make accounting simple for your business, which is why we offer a range of accountancy packages designed to suit you and your business needs. When your business is successful, there’s definitely no time to rest. Continued growth and maximising your success depend on good business decisions. Timely management information could be just what you need to improve profitability and take your business to the next level. At Numeric Accounting we understand that sound business decisions and the ability to stay one step ahead of your competitors is vital for continued growth and success. Our team of specialist accountants can fulfil all of your accounting needs and offer the crucial guidance required for planning ahead. We are experts on advising businesses on the business objectives that really matter. At Numeric Accounting, our wealth of knowledge gives us exceptional insight enabling us to offer the right advice at the right times to ensure you make the right business decisions. Our Ultimate Accountancy package has been designed especially for businesses looking to maximise growth. We assign every business a dedicated client manager to take care of your accounting needs. They will get to know your business inside out and give you the crucial advice you need to take your business forward. Your tax returns, annual accounts return, and monthly payroll for all employees will all be managed to the highest professional standard. We’ll also provide you with quarterly management accounts and a dividend review to make sure you have the crucial financial information you need to grow your business. Understandably you’ll be making complex business decisions at this stage of growth, so we will also give you access to a director for invaluable business advice. Our Ultimate Accounting package supports you in annual wealth planning, budgeting and cashflow forecasting so you can make sound business decisions for the best possible business outcomes. With our free Xero software your day-to-day record keeping will be a breeze. 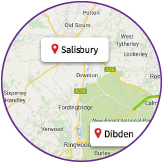 We’ve helped countless businesses in Salisbury and the surrounding areas make the most of their potential to grow. We understand what it takes for a business to be successful and our expert business accounting team will do everything they can to support you and maximise your growth and success. With our specialist accountancy support, our dedicated client managers keeping up with your accounting needs, and access to our most experienced advisers for those complex business decisions, your future looks more exciting than ever. Our office in Dibden is the perfect base to offer all businesses in Southampton value-added professional accountancy services. We have local business knowledge and an understanding of the complex business decisions required for success. Why not let us help you stay ahead of your competitors? We’ll take care of all the mundane essentials, plus we give critical business guidance to make sure your business excels. One of our dedicated client managers will work closely with you throughout the year so they understand your business and can help you take the difficult business decisions required to maximise success. Established for over 80 years, we have the benefit of exceptional experience. We have the expertise and the business knowledge to ensure you make wise business decisions. We know what works for our clients, so we’ve developed a range of accountancy packages to suit the changing needs of business from start-ups and freelancers through to those thriving and looking to exceed expectations of growth and success. We also provide Wealth Management Services and advice on Making Tax Digital to clients across Southampton and Salisbury. We offer professional accountancy services and sound business advice to keep your business on track. Our continuity of service is second to none. We are lucky to have an exceptional team consisting of a mix of highly experienced accountants and fresh new talent to keep us on our toes. We want your business to succeed as much as you do, and we understand how crucial properly kept accounts are for informing your business decisions. Numeric Accounting has offices in Salisbury, Wiltshire and Dibden in Hampshire. We offer a full range of professional accountancy services to businesses in Salisbury, Southampton and across the UK. If you are looking for a professional accountancy firm you can trust, and a team who understand the accountancy needs of businesses at different stages of growth, get in touch with our expert team today. Call us now on 01722 334888 (Salisbury) or 023 8084 4242 (Southampton) and one of our team will help you with all of your business accounting needs. Alternatively, drop us an email at salisbury@numericaccounting.co.uk or dibden@numericaccounting.co.uk and we will get back to you as soon as we can. If there are services you would like to add or remove from our standard packages or you require a more bespoke accountancy package that better suites your needs then we are more than happy to provide you a separate quotation. For more information and to discuss the package and services that best suit your business or organisation, please get in touch.